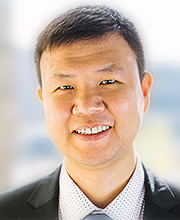 Qi Zhang is currently an Associate Professor (Reader) in Accounting and Finance at Durham University Business School, University of Durham. Qi’s research interests are in the areas of behavioural finance, banking and emerging markets. He has had papers published in the Journal of Accounting and Economics, Journal of Money, Credit and Banking and other leading academic journals. His research received CFRC Best Paper Award in 2017.